After nearly 23 years welcoming travelers from across the globe, the Redwood Hostel bid farewell to its final hosteller on the morning of January 18th. And so we say goodbye…and thanks for the memories. Kaci, Ryan, Rory & Kailen on the hostel’s final night, January 17th. Rory’s art is a drawing of the hostel and reads, “I love you hostel!” Thanks to longtime Redwood Hosteller, Giovanni Amadeo, for taking this photo. But we’re not quite done. As the hostel’s final managers, we can’t say goodbye, not just yet. We are going to maintain this blog for the time being, to catch up on posting photos and video from recent times…and, as well, to continue blogging our thoughts until what needs to be said, has been said. The to-do list, thus far, includes: posting photos from our Closure Celebration, a video clip of the Goodbye Ceremony (hosted by Rory) on our final morning, other photos taken by Giovanni Amadeo on his last visit here, a backlog of photos taken over the years that couldn’t be posted from the hostel’s dial-up Internet connection, thoughts on packing up/tearing down/transitions, other thoughts, and, lastly, news of any reopening possibilities. Last night while closing my 10pm shift, I did the usual walkabout the hostel. I wrote a message on the office door, contemplated changing the Quote of the Day (“Life is a book. Those who do not travel read only a page” -St. Augustin), but didn’t, said goodnight to the half-dozen hostellers still up reading thick novels and finishing a raucous game of Balderdash, drained the mucky kitchen sinks and poured another 40 pound bag of pellets into the wood stove hopper. I also locked the four doors connecting the hostel to Outside. At each door, before locking up, I pushed the door ajar slightly–just 12 inches or so–and poked my head into the night. I felt like a bear, sticking her nose out of the den. Would a bear stick her nose out of the den on the Winter Solstice eve? Around here, maybe. It doesn’t get quite cold enough for a full hibernation, so the bears kind of “mini hibernate” throughout the winter. Like cat napping for four months. (I, human mother to a newborn and preschooler, am envious beyond reproach). Outside was instant awake. Foamy waves belly-flopped onto rocks. Sky mist separated the land and sea from most stars, yet even then, at least four dozen Other Suns broke through the fog. Twinkle, twinkle, how small we are. It was cold, but a cold of gratitude. That is, you feel it, and wordlessly give thanks to this cold for –like a bell– alerting you to where you are. Bringing you back to now. When I’d poked my head outside, I took a deep breath of that air. I did not tell myself, “Oh, fresh air! Breathe it in!” Didn’t need to. Just, head poked outside, lungs got the news and pulled in as much air as they could. I had nothing to do with it. At least not the conscious parts. The best I could do was to notice. The other day, I took a short walk on the Yurok Loop trail with my newborn son in a front carrier, napping as he likes to do. No other humans were around. The rain abated, and only a sheath of mist lingered. I was on the move and outside, so the fresh air pumped freely in and out of my lungs, letting me breathe deeply with such regularity that I could take this for granted. Of course the wilds will always be this accessible. Of course I’ll always make time for a hike. Of course I can always breathe like this. That was when I made a pact with nature, or if you like, Nature. To be on her side. In a non-dualistic culture there wouldn’t be sides, only one long roll of the tides that carried everyone and everything on it, landing ashore in one piece. But my culture needs to choose. Whose side we’d take, if it came down to it. Are you with us, or against us? I’d rather not focus on who I’d be against, but I can choose to be with nature, and not for nature’s sake, either. If we left, if humans wiped ourselves out through war or simply attrition, the plants, microbes and non-human animals would survive. Persist. Evolve. They would move on. I side with nature for our sake. 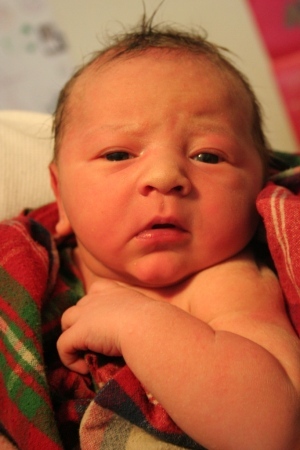 I want my great-great-great grandchild to take her newborn son for a hike someday. He deserves at least that much. A bird swooped down a few feet in front of us and alighted nearby on the branch of a red alder tree. I looked up. This wasn’t just a bird, it was a Spotted Owl. In our human world, the spotted owl is the symbol, the epitome, of the bitter struggle between “loggers” and “tree huggers.” I doubt that this particular spotted owl knew, or cared, about our little fights in humanland. She just wanted to have a look at us. She watched me, I watched her. After a few minutes, I walked away. It was a simple relationship. That is the Solstice for me. Simple. The sun rises, the sun sets. Sometimes it moves closer to us, other times it moves away. We don’t need to control it, or sell it, or even seek to ‘understand’ it. All we need to do is take notice. Winter is descending again. This morning I scuttled about the frosty hostel, cranking up the space heaters and feeding pellets to the wood stove. My fingertips are still numb, but the sun is out, so hope persists. May hope also persist with the future of Redwood Hostel. As many of our blog readers know, the hostel is closing indefinitely next month. 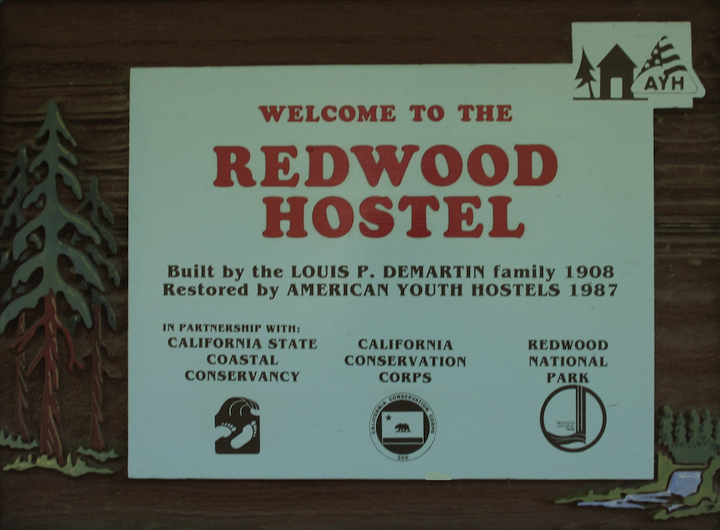 Our beloved building has worn her foundation down to her seismically unfit bones, and our friends at Redwood National and State Parks–who own the hostel building–are unable to fund repairs. So we close. Guests are, naturally, despairing. This little hostel by the sea has served many travellers with a warm and cozy respite for two decades and each year, it seems, more people are drawn to the Redwood Hostel. It fills them up. Our final day is January 18, Martin Luther King Jr. Day. Until then, we are open limited nights: December 3-5; December 10-12, December 17-January 2, January 7-9 and January 14-17. We are planning a Goodbye Celebration in late January, so please check back for more details as they become available (it will be after our closing date, so sadly, we can’t offer overnight accommodations to the public). We’re optimistic the hostel will re-open sometime in the future, either at this location or nearby. If you happen to find $2 million beneath your couch pillows, or lying on the sidewalk, or wadded in your backpocket and you just don’t know what to do with it…think of us. And if you would like to stay abreast of Redwood Hostel news, please contact us at 707-482-8265 or info@redwoodhostel.org. We’ll miss you all! Keep this little hostel in your thoughts during the coming chill. The Open House Party was a blast! 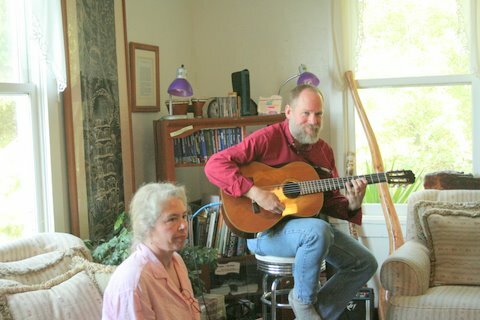 A total success with roughly 85-100 people streaming through the hostel this past Sunday afternoon for a tour, homemade berry crepe, cup of lavendar lemonade, or a listen to the amazing acoustic guitarist, Jon Parmentier. Some chatted on couches. Others played the Redwood Hostel version of Mad Libs. Three people won *new* Redwood Hostel organic t-shirts, and three others won annual memberships to Hostelling International. 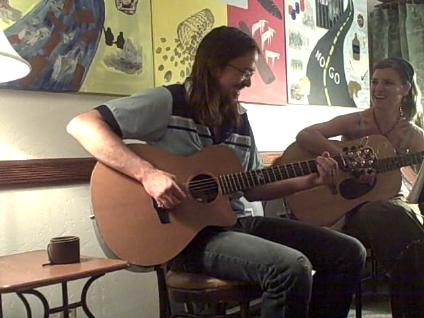 Jon Parmentier and his partner, Chris, performing at the hostel’s Open House Party. We also led a “Travel Writing Freewrite” workshop Tuesday night at the hostel. I was pleasantly surprised to have an enthusiastic group “fill the space” we had set aside in the Common Room for the workshop. Six of the seven participants were in their ’40s and ’50s, and therefore had a long history of travel to draw upon, but never before the opportunity to share. Freewriting prompts included “Describe a place you know well to someone who has never been there,” “The meaning of retreat,” and “Leaving your comfort zone.” We wrote for 3-7 minutes per prompt, and most people read aloud at least once. Thank you, freewriters! Three more activities await: a “World Travel 101” workshop tonight at the Cresent City Library, “Documentary Fridays Go Hostelling” tomorrow at the hostel, and we will conclude with a Family-Friendly Hike to Hidden Beach on Saturday morning. 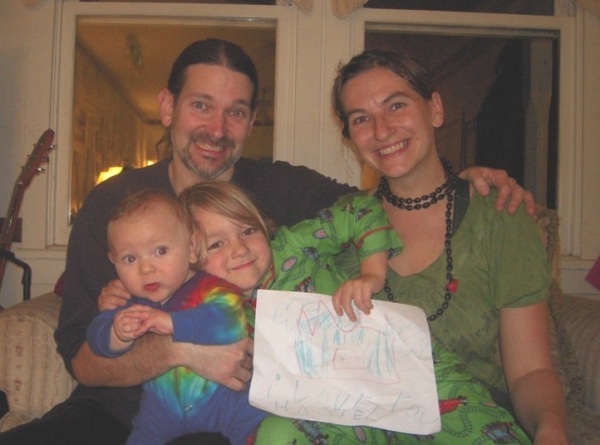 We have also had a bit of media coverage through KHSU Radio, the NPR affiliate based at Humboldt State University, KMUD Community Radio in Garberville, and The Daily Triplicate newspaper in Crescent City, which also published Ry’s Letter to the Editor. Our answer usually focuses on the present-moment details: what you need to know about hostels to decide whether they work for you: They’re affordable. They’re about sharing. They’re a great way to build community with other travelers. Well, as it turns out, hostelling has a history worth celebrating. We’re celebrating the 100th anniversary milestone in August, along with the 75th anniversary of hostelling in the USA, with an Open House on Sunday August 23. We’ll also have a Travel Writing Workshop (Tuesday August 25), “World Travel 101” educational travel workshop (Thursday August 27), Documentary Screenings of Hostel- and Travel-related Films (Friday August 28), and a Family-Friendly Hike to a hidden beach (Saturday August 29). 2009 marks two milestone anniversaries: the 75th Anniversary of Hostelling International USA (formerly American Youth Hostels) and the 100th Anniversary of the international hostelling movement. Following is a short history about the early beginnings of these inspirational non-profit organizations. The idea of “Hostelling” began at the turn of the century in Germany, when Richard Schirrmann, a school teacher, began taking his students on multi-day hiking excursions in the countryside. Emphasizing simplicity with just knapsacks and some provisions, the students were housed in empty school rooms and farm buildings. Schirrmann instilled in them a healthy lifestyle and a new-found appreciation of the natural world. A visionary with great energy, on one such outing in 1909, Richard Schirrmann conceived of the idea to create a system of simple overnight student accommodations using empty classrooms each a day’s walk from the next. In 1912, his town of Altena allowed him to furnish some rooms of their 12th Century castle as inexpensive dormitories. Altena Castle thus became the first permanent “youth hostel” and the start of a growing hostel network. Beginning in Europe, hostelling soon spread around the world, and with an expanded mission, from just dormitories to include common rooms where people of different countries could meet, exchange ideas, and become friends, leading to broader international understanding. Hostelling spread to the United States through Isabel and Monroe Smith, school teachers and scout leaders, who discovered youth hostels while leading a tour of Europe with their students in 1933. Impressed by the simplicity and idealism of the European hostels, Isabel and Monroe worked tirelessly to open the first American youth hostel in Northfield, Massachusetts in 1934 and to found the American Youth Hostels organization. The hostelling movement has grown in the United States and around the world. Today, there are more than 4,000 hostels in 80 countries around the globe, which provide more than 35 million overnights annually. Like its early beginnings, the hostelling movement is still based on high ideals of promoting world peace, international understanding, and environmental stewardship. We’ve endured weeks upon weeks of whatever the weather’s been tossing our way. Drizzling days, the overcast haze, wind rushed up our skirts without so much as an apology for getting in the way (Have we told you the hostel sits inside a little cove known for attracting fog the way mattress pads attract stray hairs? Sorry, hostel humor! )…So the thought of pushing up a window to allow the early summer heat inside, well, that was a far-fetched thought at best, a painful joke at worst. But we can’t believe our eyes today. The sun is out! And it’s the glorious, gently breezing sunshiny day that doesn’t whallop you with a dose of gusty afternoon wind. For now. If you’re travelling this way soon, we can’t guarantee how long El Sol’s performance will continue to let a little sunshine in, yet, for now, we’re grateful for what we’ve got. 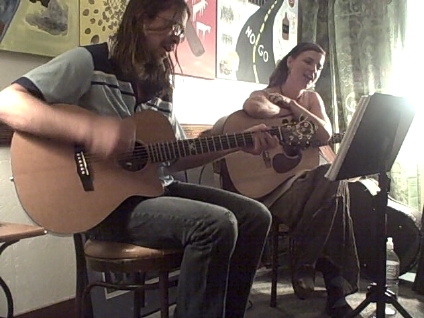 Late Monday afternoon, Jill Marie and Bryson VanCleve pulled their parking brake at the base of the hostel and unloaded a few guitars into our common room. It was just as the sun readied itself for his daily curtain call. We rearranged a few couches and waited for the hostellers to arrive. Jill and Bryson seated themselves on chairs with a backdrop of colorful Community Walls murals, which local Yurok Tribe high schoolers created last year to teach our travelers about this community, and its walls. An ideal backdrop for teachers of the soul and of soulsearching, Troubaduo, a.ka. Bryson and Jill. The hostellers arrived. The band played. And it was O’ So Good. Listen for yourself as they sing “Favor From Lucy”, “You Can’t Hurry Love” and “Waiting for the Sun to Rise”. If you haven’t been here yet, these clips will give you the flavor of our communal spaces and laid-back atmosphere, if you pay attention to the occasional person poking their head in from the kitchen, or the impromptu Q&A between artist and audience, or the off-screen chuckle of a child. Jill and Bryson said this has been one of their most intimate shows–sitting two feet from your audience is an exercise in intimacy!–and they and we alike both felt the soul-stirring feelings we get, all too rare, when art gets to enter the everyday life. It’s getting to be that season again! Time to pack up a lunch and some sunscreen and become a genuine River Rat. This is the season that the locals live for! 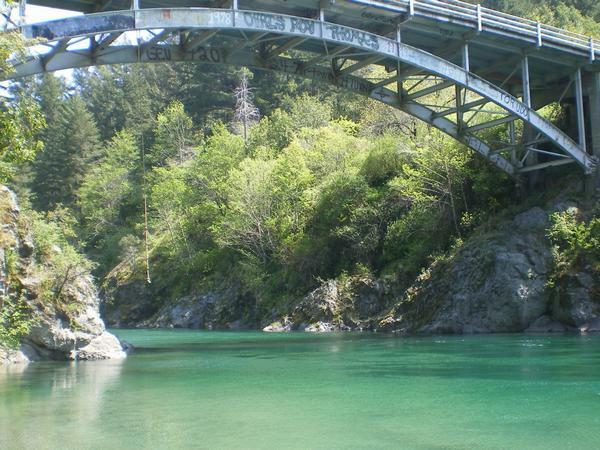 The Smith River is one of the many beautiful attractions of Northern California. Warm sand, clear water, and high rocks to jump off! You can easily spend an entire day just lounging around and taking in all the beauty. -Head North from the hostel on Hwy 101 to Crescent City, Ca. Once you get down the hill, you’ll see your first street on the right called “Humboldt Rd.” You drive all the way down until you hit a stop sign. The cross street will be “Howland Hill Rd.” which you take a right on. -Howland Hill Road will lead you onto a gravel road that takes you through the beautiful giant Redwoods. You will eventually get to Stout Grove (Located in the Jedediah Smith Redwoods State Park). Here’s a fun fact: Stout Grove is where “Return of the Jedi” was filmed and was home to those adorable Ewoks! -You will eventually get back onto a paved road. You are now in Hiouchi, Ca. Take a left onto the bridge and you’re passing over the gorgeous Smith River. After the 2nd bridge you go across you will intersect with Hwy 199. If you take a right you can find more pull-outs to river spots. If you take a left you’ll head back to the Hiouchi townsite where you can stop at the Hiouchi Hamlet and get some food, drinks, and fuel. Continuing past the Hamlet will take you to Crescent City. -If you feel like taking Hwy 199 back to Crescent City you might want to stop along the way for a leisurely walk through the Redwoods. Simpson Reed Grove is a great spot for that. It’s right between Hiouchi & Crescent City. Walker Road (which is also between the 2 towns) will lead you to a few more river spots. -Then you’re back in Crescent City again, and all you need to get back to the hostel is to head South on Hwy 101. 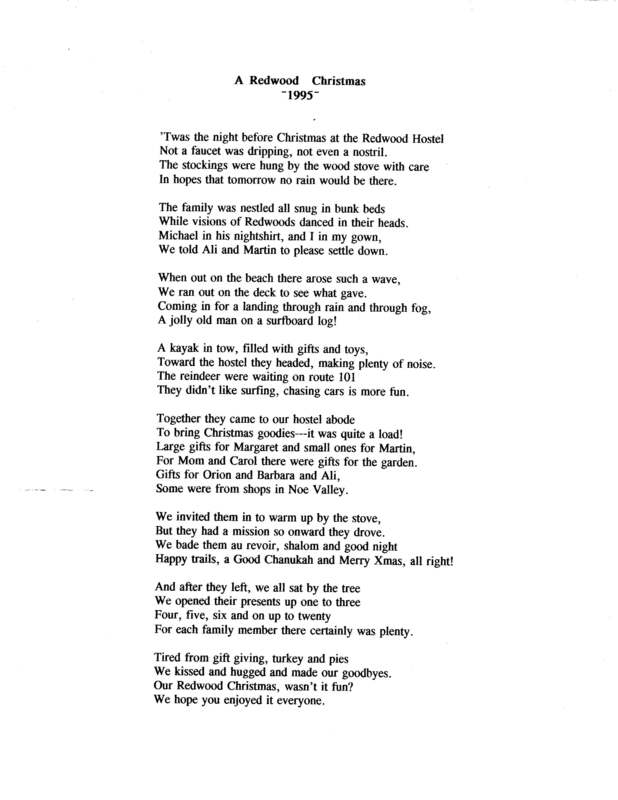 I wanted to post this entry because ever since I was a little girl, I have looked forward to this season all year! It’s not too often that we get a break from the rain here, and we come to cherish the time where we can throw on some sandals, grab the camera, and have a great hang-out day with friends and family outdoors.